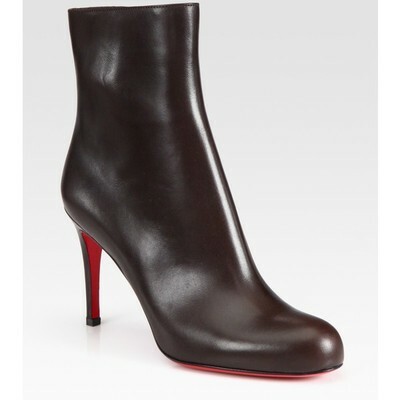 Shapely leather bootie with back seam detail and sculpted stiletto. Self-covered heel, 3½" (90mm). Shaft, 5¼". Leg circumference, 9½". Round toe. Inside zip. Leather lining. Padded insole. Signature red leather sole. Made in Italy. OUR FIT MODEL RECOMMENDS ordering one half size up as this style runs small. .